At Ring Hostel, you certainly are not being charged hotel prices, but we try our best to provide you with hotel quality service as much as possible. Listed below are some of the services we offer. However, if there is ever anything else we can do, please ask and we will do everything we can. 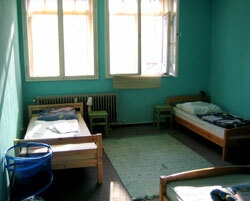 One of the best features of the hostel is that the owners also have a beautiful hotel at your disposal. The hotel has a restaurant, fully stocked bar, and a pool with an amazing ocean view for you to enjoy whenever you like.